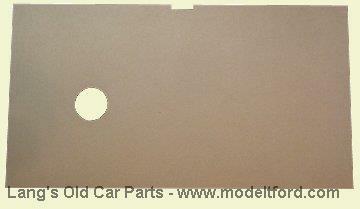 Coupe or Fordor Sedan Gas Tank Cover. Coupe or Fordor Sedan Gas Tank Cover. This is a cardboard cover that goes on top of the gas tank under the drivers seat. These pads were originally included with the car at time of purchase and serves to keep out the dust and dirt. Upper door seal, steel strip with rubber insert.